Ciara dances to her new song, 'Freak Me' featuring Tekno, on the same block where Nelson Mandela and Desmond Tutu used to live. American singer Ciara just released the video for her latest single, 'Freak Me'. The song, which features Nigerian superstar Tekno, is the second single released from Ciara's upcoming album. The 32-year-old shot the video in Soweto, Johannesburg. "Good times dancing to my song #FreakMe ft @TeknoOfficial in the streets of #Soweto on the block where Nelson Mandela and Desmond Tutu used to live!" she wrote on Instagram. 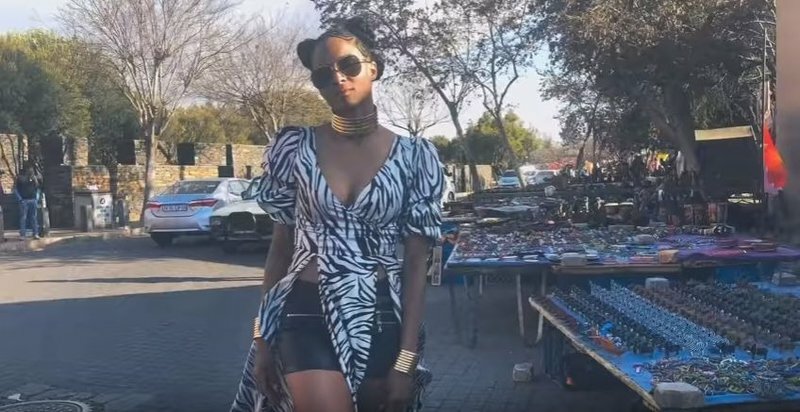 The 'Level Up' hitmaker reportedly shot the video during her recent trip to South Africa. She celebrated her wedding anniversary with husband Russell Wilson in Cape Town before heading to Jozi. South African dancer, choreographer, and singer Sino Dunywa put the choreography together for the video shoot. "Thank you to the beautiful people of#Soweto for an incredible time and experience!" Ciara said.